The European Union is currently developing Guidelines on the Right to Water. 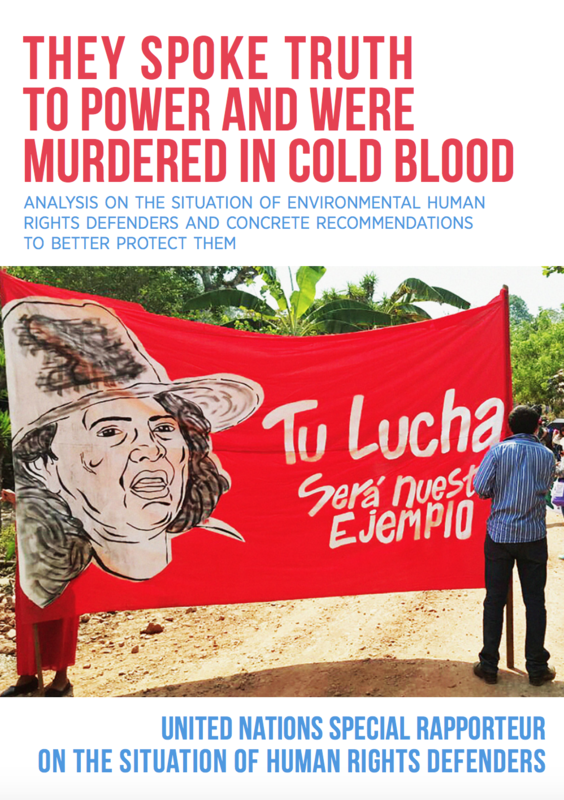 Human rights defenders protecting their communities’ access to water around the world face lethal risks for their work, and their expertise must be central to the EU’s proposed Guidelines. 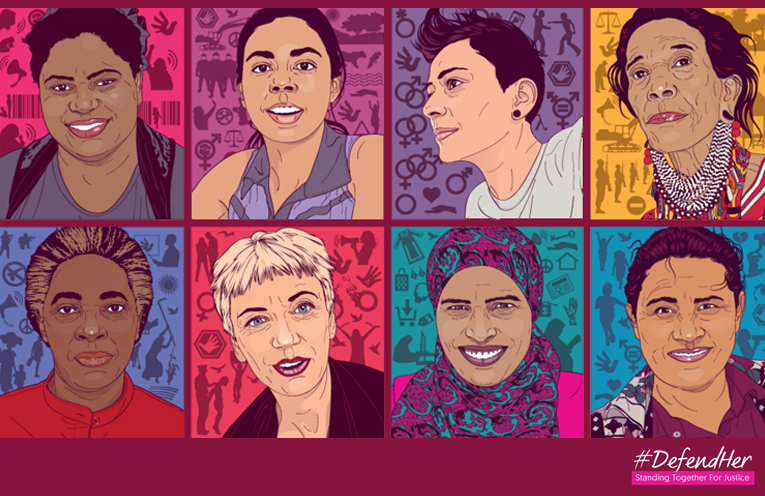 Dispatches 2017 presents the work Front Line Defenders has undertaken around the world for the protection and security of human rights defenders at risk in 2017, including the impact of grants, training, advocacy, visibility, rest & respite and other programs. 2017 marks the 10th year of Risk Assessment and Protection Planning training, while the year also saw the expansion of the programme with the addition of a Security Advisor and an additional Protection Coordinator in West Africa. Security in-a-Box is a guide to digital security for activists and human rights defenders. 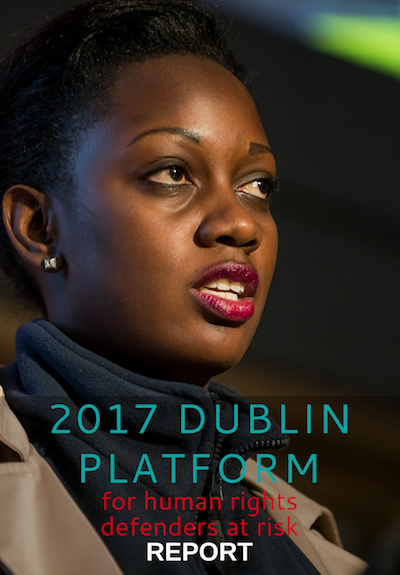 The 2017 Dublin Platform for Human Rights Defenders brought together more than 110 human rights defenders (HRDs) from 99 countries and numerous international guests to share experiences, learn from each other and develop new and more effective strategies for their security and protection. This unique forum gave participating HRDs an opportunity to speak out about challenges and risks they face in their work, analyse new and well-established patterns of oppression and develop strategies to remain resilient and effective. The Front Line Defenders Workbook on Security has been inspired by the hundreds of HRDs from over 50 countries who have attended Front Line Defenders workshops on security and protection. Ana Maria has helped hundreds of Dominicans of Haitian descent reclaim their rights, and resist racism and discrimination. Lorraine leads innovative education initiatives, to raise awareness about environmental rights in communities affected by coal mining in South Africa. Nisha successfully challenged a law discriminating against transgender people in Malaysia, and set up the first organisation providing support to the trans community in her country. 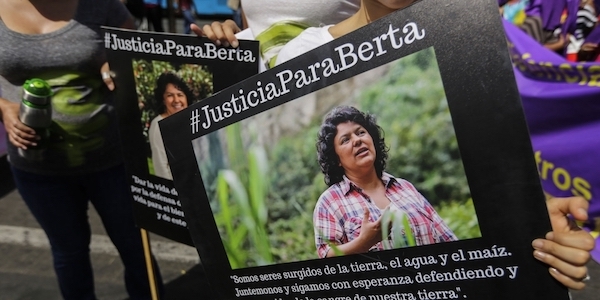 María Magdalena Tun didn’t choose to become a human rights defender. 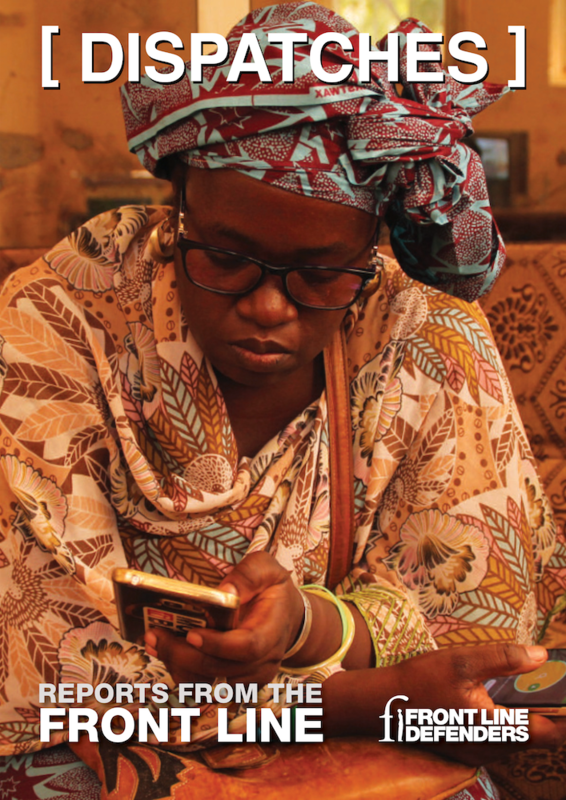 But when private companies started evicting local communities in her region, polluting the rivers and destroying the forests, she realised she could not sit idly by: she had to defend the rights of her people. On 29 March 2018, a group of hitmen killed Crisanto Garcia Ohajaca, the uncle of the COMUNDICH Executive Board vice-president, Eugenio Ohajaca. The leader of the Ch’orti’ de Morola community, which COMUNDICH is currently assisting, received a death threat two days after Crisanto Garcia Ohajaca’s murder. 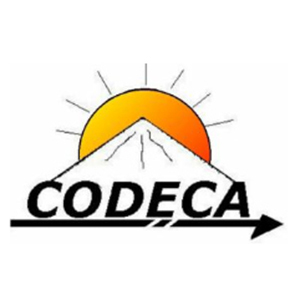 In the past few weeks, threats and attacks against those associated with the indigenous rights organisation, Coordinadora de Asociaciones y Comunidades para el Desarrollo Integral del Pueblo Ch’orti’ COMUNDICH, have increased. Following her detention on 16 January, human rights defender Amal Habani was beaten with an electric rod by Sudanese forces during interrogation. She remains in detention despite an order for her release being issued on 20 January. On 8 August 2018, Butch Rosales, human rights defender and Rise-Up volunteer was shot and killed in broad daylight on his way to Mandaue, Punta Engaño, Lapu-Lapu City in Cebu province. On 23 November 2018, human rights defender Raed Fares was shot dead by unknown assailants in the Kafranbel, a town close to Idlib in northwestern Syria. 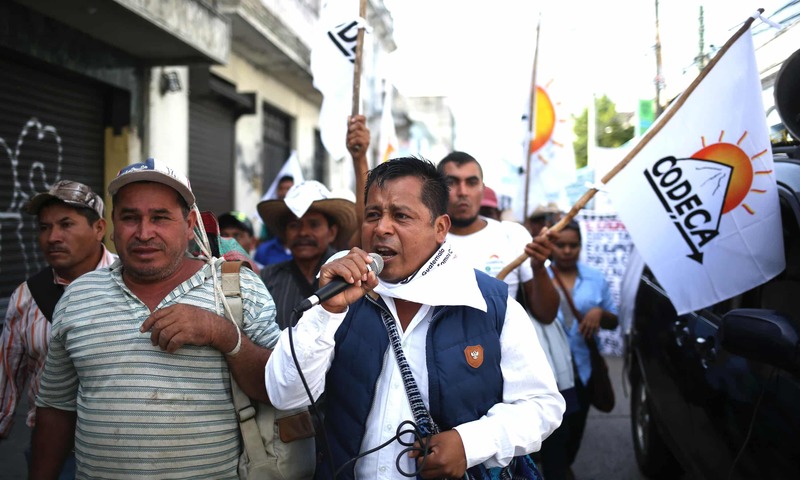 On 25 October, land rights defender Noel Castillo Aguilar was killed in the community of Barra de la Cruz in the municipality of Santiago Astata, Oaxaca. Noel Castillo Aguilar is the fifth member of the organisation CODEDI to be killed in 2018. On 25 September, woman human rights defender Su’ad Al-Ali was shot dead in the city of Basra in southern Iraq. This is the latest case in a series of attacks on civil society actors in Iraq.